There is no denying it, strong emotions easily influence our decisions, and not usually in a good way. We’ve all experienced overwhelming emotions in varying degrees in our lives. Times when clarity evades us under a dark cloud of confusing heartache, desperation, anguish, guilt, fear…. Even enjoyable emotions can negatively influence our decisions, especially in relationships. We feel so strongly, emotionally excited, that we let our pursuit of those feelings misguide our ability to be logical and rational regarding the pace we let the relationship develop and how deeply or quickly we invest our trust. Not just in romantic relationships but friendships as well. Our desire to be loved and accepted can smother the logic that recognizes a red flag and should deter us from believing flattery and false promises. Negative emotions can cause us to make rash reactive decisions, without evaluating at the time, we may not like the long term consequences. We have all made a decision in the heat of the moment only to realize we would have done things differently had we had control of the emotions effecting us at the time. I suffer from a few psychological issues, mainly anxiety and a manic/depressive mood disorder. Unstable emotions play a huge role in my daily life. I am extremely guilty of letting emotions control my decisions in the past, and truth be told, they still haunt me sometimes. So what has changed? …. Lots! We may not be able to stop our emotions, but we can prevent them from poisoning our choices. Oh and don’t be confused here: Reactions are not choices. However, using our emotions to excuse our reactions is a choice. Through many years of therapy and self-awareness I have learned not to trust my emotions. I have learned to accept them as a reactive response but I know if I act too quickly while experiencing the emotion I will regret it later. So I had to set myself some rules. It is important to develop your own set of rules, by looking back over your life and seeing the patterns. If you know you always find yourself in the same predicaments over and over, seek a Councillor/Psychologist to help you establish some rules that are healthy for you and the decisions you want to make in future. Look carefully at the people you spend time with. Are they empowering your emotions and encouraging impulsive choices? Or do they display self-control and rational choices? We are all influenced by the people we associate with on a regular basis, but the beauty is we get to choose not to spend time with those who negatively impact us. 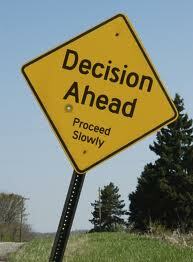 A stable confidant is vital to this transition, to detoxing our decision making. When dealing with volatile situations and strong emotions, get some distance from the immediate situation and speak to someone who you know has a calm, unemotional sense of reason before doing anything else. Remember: A little prayer goes a long way. If you resonate with this post but doubt your ability to overcome your overpowering emotions, ask your Heavenly Father for some help, read His Word. 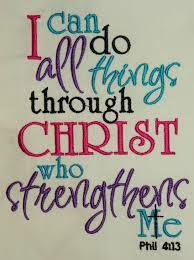 Through Christ’s strength ALL things are possible!